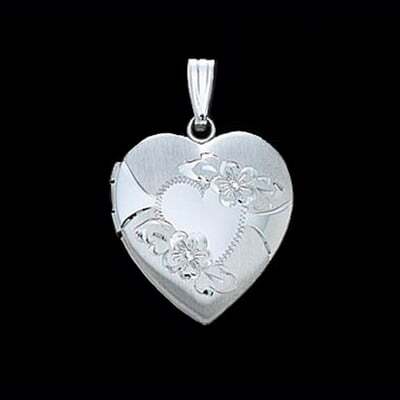 Pretty 14k White gold floral satin and polish design heart locket. 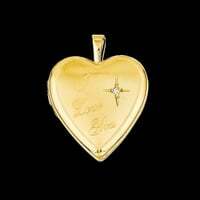 This locket measures 18mm in height by 19mm wide and will hold 2 photos. 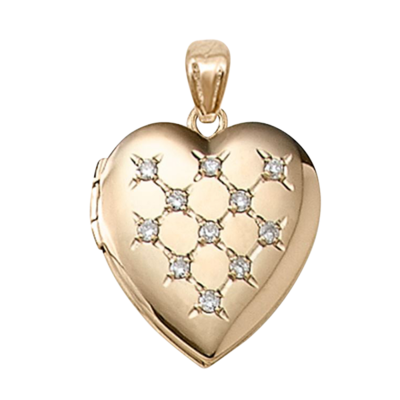 Pretty 14k Two Tone gold heart locket. Locket features a white gold beaded border and will hold 2 photos. Locket measures 17.75mm by 18mm. Giving jewelry to your beloved is not only an act of sharing – it’s also a way of giving a piece of yourself to ancestors to remind them that you treasure every moment together. 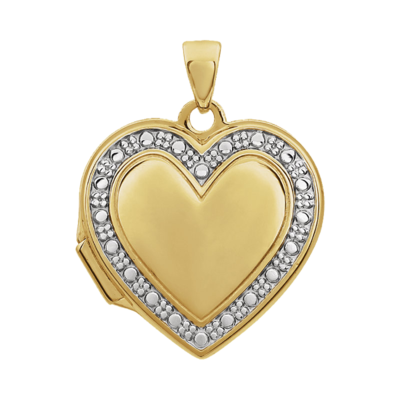 Share that piece of your heart with a timeless heart locket from Gracious Rose. Human beings are obsessed with treasuring memories. But in the past, our ancestors shared and created memories through poems, songs, paintings, and yes, jewelry. 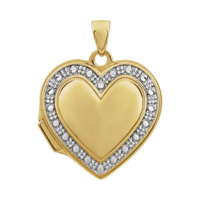 During the time of kings and queens, a simple locket became the most effective way to tell someone you love them and to keep their memory close to your heart. Knights gave lockets to their fair maidens as a token of their undying love. 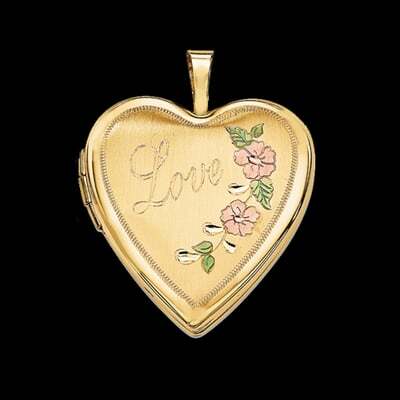 Women put locks of their hair inside a locket to give to their husbands as a blessing for their journey. Aside from locks of hair, lockets are a great way to hold on to a portrait. Queen Elizabeth I of England had a locket that contained her mother, Anne Boleyn’s portrait. Today, lockets come in different shapes like a heart, to symbolize love. 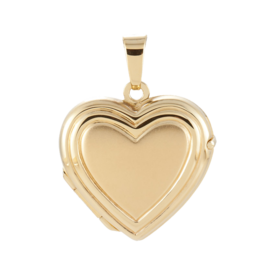 Show your love to someone today with Gracious Rose’s collection of stylish golden heart lockets to keep those cherished memories safe forever. 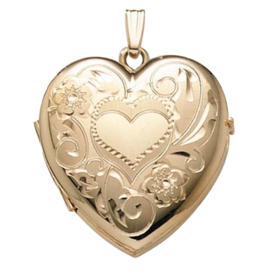 Flower Design Heart Locket – This special 14k gold locket can hold up to four photos. 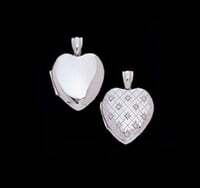 Diamond Heart Swirl Design Locket – Diamonds are forever and so are your memories. Keep two of your favorite pictures in this gorgeous locket. Floral Heart Gold Locket – This dainty 14k gold piece holds two precious photos. 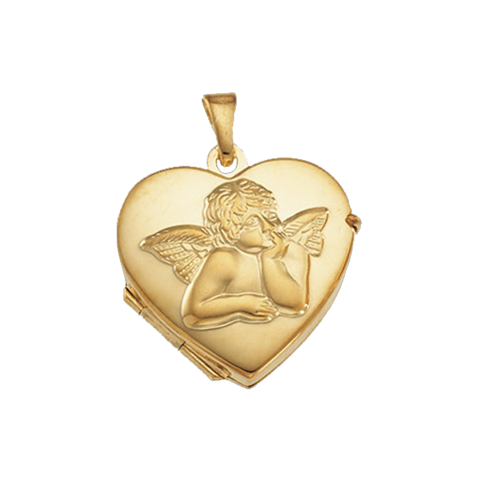 14k Gold Heart Rope Locket – This classic style is available in 14k White, 14k Rose, and 14k Yellow gold. 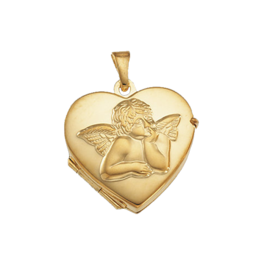 Gold "Mom" Heart Locket – This brilliant piece has a “Mom” inscription in the middle, perfect for Mother’s Day. Aside from the gorgeous designs, you can also personalize the heart-shaped locket of your choice. Visit our website, choose from our selection of fonts, and type in the sentiment you want engraved. 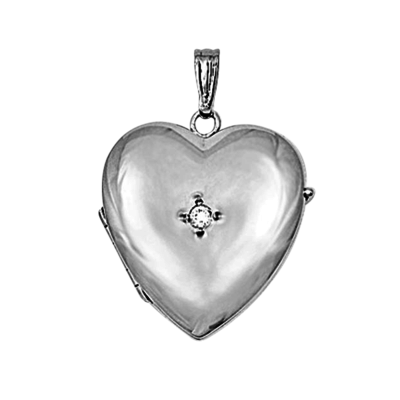 Ask our Jewelry Consultant for advice in choosing the perfect locket. 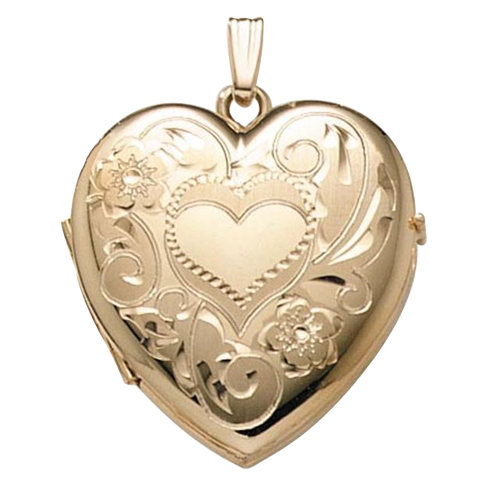 Personalize your chosen lockets with our special, engraving option. Enjoy ethically sourced jewelry and free shipping on orders over $250. Immortalize memories with Gracious Rose’s collection of beautiful heart shaped lockets. 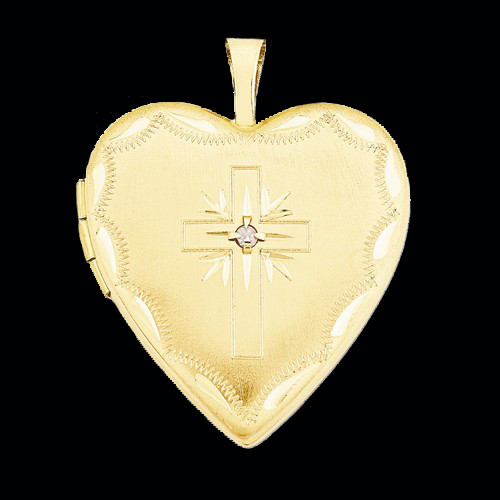 Show your love to someone today with our handcrafted pieces!